Marked by a long-standing stone chimney, the only remnant of a building that burned down on the property long ago, the Rocca-Collinetta Vineyard is perched on rolling hills in the southern Vaca Mountain range in Napa’s Coombsville AVA. Rocca Vineyard features layers of extremely well drained decomposed rock and ashy deposits. 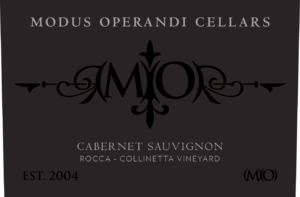 I began making wine from Rocca-Collinetta Vineyard in 2005 after serving Mary Rocca at La Toque… I asked her for Cabernet and she assumed that I was referring to buying finished bottles of her wine. When I explained that I was actually interested in her fruit, she was a bit confused at first… a waiter requesting to buy 10’s of thousands of dollars worth of her fruit… I don’t blame her. She agreed to give me a chance and see how the relationship went after the first year… Rocca-Collinetta Vineyard has been part of our portfolio ever since. The fruit from Rocca comes from two blocks which split Clones 337 and 4, and cascade down each hillside of the vineyard yielding on average just over 1 ton per acre. The wine is extremely dark, brooding, and concentrated -consistently shows a mix of red and black fruits with tamarind spice, liquid smoke, and roasted meat notes. Tucked up against the southern Vaca Mountain range in Napa’s Coombsville AVA, Farella Vineyard features layers of volcanic tufa, red decomposed rock and ashy deposits from ancient landslides, vast geologic episodes that literally turned this vineyard on its head. I began making wine from Farella Vineyard in 2015 after looking to increase my Cabernet production in my favorite growing region of Coombsville… Farella Vineyard has been part of our portfolio ever since. The fruit for Farella comes from the tenderloin of the vineyard because of the mix of moonlike fluffy ash and gravel in the soil. This block is bathed in afternoon sunlight during the growing season, and the wine – concentrated and beautifully-structured –consistently shows a mix of red and black fruits with spice and mineral overtones. Farella Vineyard is 100% Cabernet Sauvignon, Clone 7. The Boyd Vineyard was founded in 1998 by Stan and Joan Boyd. 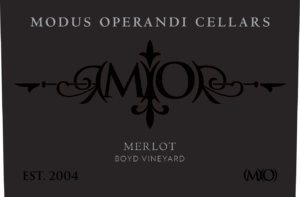 Located on Big Ranch Road in the Oak Knoll District in the southern end of Napa Valley Boyd Vineyard is situated on the valley floor and has a cooler climate and heavy, deep alluvial clay loam soils perfectly suited for growing Merlot and Syrah. I met Stan in 2006 off of an ad he placed to sell his fruit only two years after my first vintage. The fruit from Boyd comes from Block A which is planted to Clone 181 yielding on average just over 3 ton per acre. Situated the farthest away from the Napa River, Block A has been specially prepared for additional moisture drainage to ensure timely ripening. 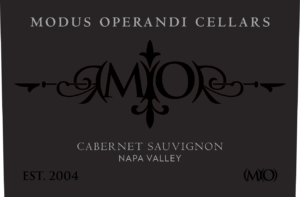 The wine is produced with an extremely unique and proprietary method resulting in a merlot unlike any other. Bold, structured, exotic and extremely lush, this wine is pure luxury. Founded in 1956 —Charles and Helen Bacigalupi—purchased 121 acres on Westside Road, a few miles south of the town of Healdsburg in the Russian River Valley of Sonoma. The soils in RRV result from a collision between the North American and Pacific tectonic plates which caused the uplift of ancient bedrock, which then eroded. Within the last few million years the eruption of volcanic vents immediately to the east resulted in the deposition of volcanic ash on the shallow ocean bottom. The resulting sandstone resulted in the famous Goldridge loam soil. I began making wine from Bacigalupi Vineyard in 2012 after researching the sources and neighbors of premium pinot noir producers whom I respected such as Williams Selyem, Gary Farrell, Edge Hill, Arista, and Rochioli Vineyards. 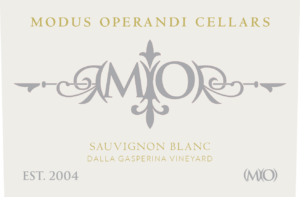 Bacigalupi Vineyard has been part of our portfolio ever since. The fruit from Bacigalupi comes from two blocks on their Frost Ranch property which split Clones 667 and 777. The wine when young has a deceptive nose of forest floor, wet earthy humus and dried herb which leads one to believe the wine will be light in weight, with high acid and moderate tannin, however… once the wine is on the palate it leaves nothing to the imagination as it is extremely generous with loads of ripe red fruit, lush creamy round texture, moderate to low acid… PURE-California! This is one of our favorite wines to make AND drink! The Wrath Vineyard is sheltered in a nook just below the Santa Lucia Highlands AVA, roughly 25 miles southeast of the town of Monterey. The climate is heavily influenced by the morning fog and afternoon winds from the nearby Pacific Ocean. The soils are primarily composed of Arroyo Gravelly Loam and Hanford Gravelly Sandy Loam. Planted to three clones… Syrah Noir, 174, and 877, out of 67 planted acres, only 3.7 are planted to Syrah. The dark color and brooding aromatics scream Syrah. The wine bridges the divide between cold and warm climate Syrah though, with pepper and high-toned aromatics one expects to find in colder regions, but also has the ripe fruit and thick palate one associates with warmer sites. There is no disputing the dominance of Rutherford when considering the options in Napa Valley… with 4,371 total acres planted in Rutherford, only 475 are planted to Sauvignon Blanc so finding just the right spot has become quite an art. I started making wine from the DG Vineyard in 2006 and have been making wine from the same 9 rows of organically farmed fruit since. Really focusing on a more tropical and floral style, we work hard in the vineyard to encourage full ripeness bursting with flavor before picking.